Q: When is the right time to plant bulbs, and, in the fall, how do we keep them from freezing and get them to be beautiful in the spring? It is so important to incorporate some bulbs into your planting scheme, as it is a true sign of spring and a welcoming sight, especially here in Alaska. 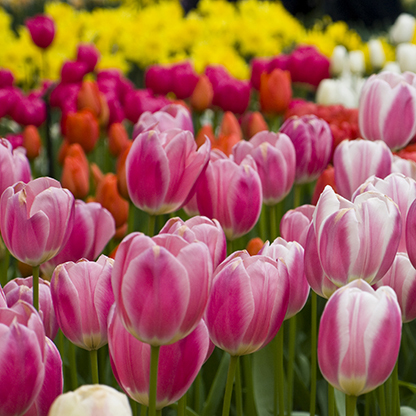 When should you start thinking about bulbs for a spring showing? The best time to get your bulbs purchased and planned out is (typically) August or early September. Know where you want to plant your bulbs in your yard and have the planting beds prepared just as you would for your perennials or shrubs (ie, some good garden/topsoil), then planting can begin between mid-September and mid-October, before the ground freezes. An early snow might fall, but that does not mean the ground is frozen! When the soil is cool (ie, when night time temperatures are no lower than 40 degrees and no higher than 50 degrees), that is the best time for bulbs to root. This is the most important step because bulbs need enough exposure time to cool soil so that they can start to root. When the ground finally freezes, their roots are in place which allows them to go dormant and keep from freezing. I typically apply 4” of dry, chopped up leaves from my yard as a light mulch to further insulate and maintain cool, steadier ground/soil temperatures. Other mulches can be used such as straw or hay. Mulching is critical, as it helps to prevent the heaving of the ground during freeze/thaws and then forces the bulb right out of the ground! When purchasing bulbs, daffodils are by far the most moose-proof investment. Tulips are also on “my favorites” list. Note: It is important to purchase bulbs that are “northern grown bulbs,” otherwise they are not acclimated to our cold temps and it could be a hit or miss! I also suggest selecting “perennial” bulbs, so that your time and effort will return year after year. And consider mass/group plantings or streams of daffodils (not just sprinkles here and there), so that their color will create more of an impact. 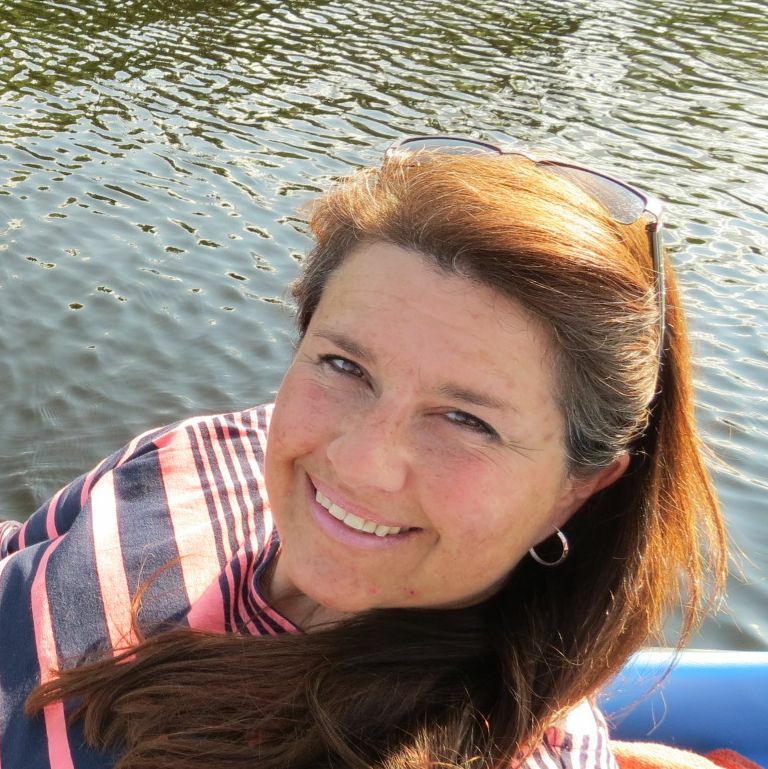 Tania Krawchenko is a landscape designer with 25 years of professional practice. For information, visit inspiringspacesalaska.com.